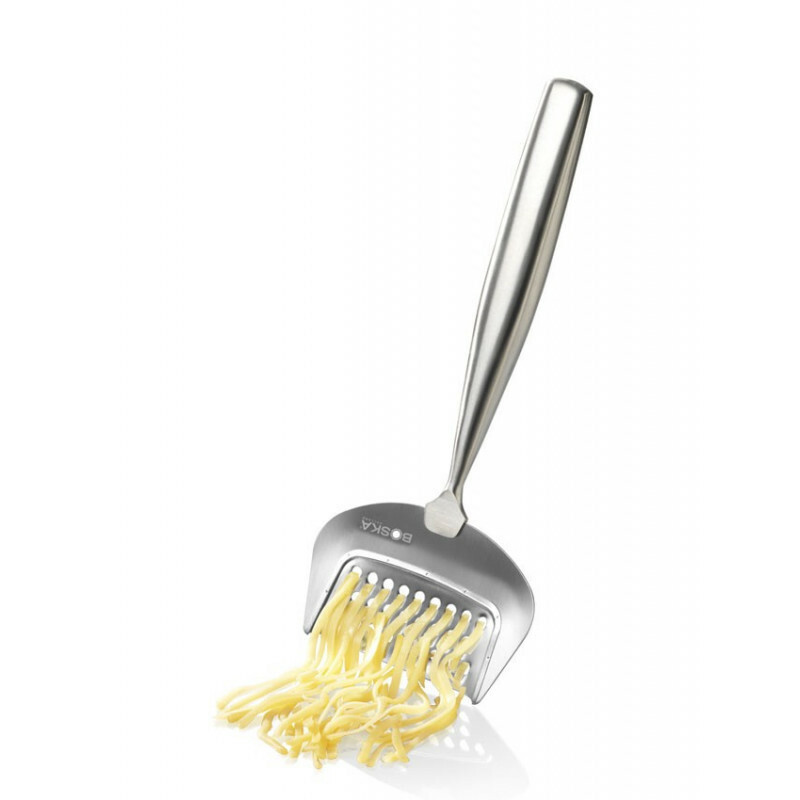 The luxury Cheese Grater Monaco from the Pro Collection offers quick and easy grating of semi hard to very hard cheese. What makes this grater unique is that it is manufactured from a single piece of high-quality stainless steel for stability, durability, and of course, luxurious style. Freshly grated cheese always Tastes better than pre-packaged since cheese is most flavorful when it first comes into contact with oxygen. Whether on pasta, pizza or in soup, freshly grated cheese is the way to go for true cheese lovers! Dishwasher safe plus you get a 10 year guarantee on this product.